I always look forward to visiting Napa and Sonoma Counties. This year’s visit began with A Day In The Dust at Inglenook, the Rutherford Dust Society’s annual preview of a specific Cabernet Sauvignon vintage, this year it was the 2011 release. 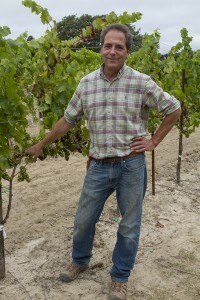 2011 turned out to be a challenging season for growers in the Rutherford AVA. Provenance winemaker Tom Rinaldi deemed the vintage “successful… so much more than what we were bracing ourselves for.” The challenges were so great that winemakers collaborated much more so than normal. An unusually wet winter spring continued into June causing a myriad of headaches. The growing season itself was cooler than average and yields were down. One winemaker after another described the struggles they had with this vintage, however, when all was said and done the wines themselves promise to be exceptional. 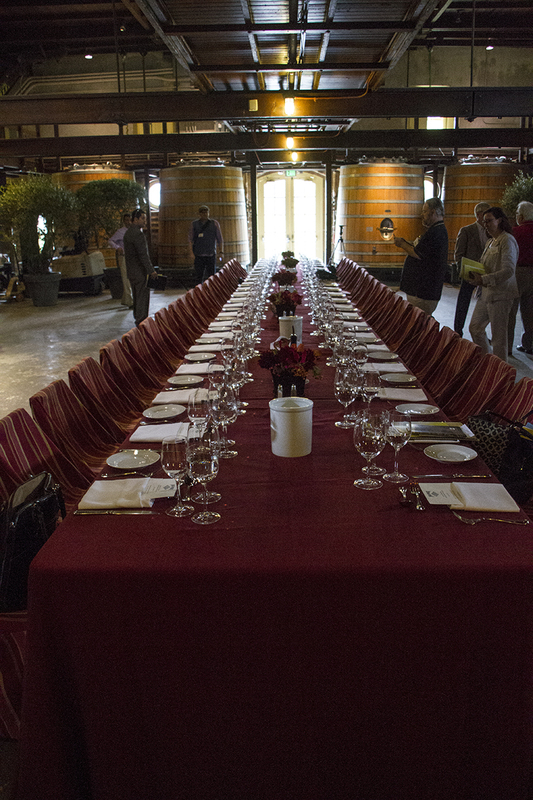 We blind tasted 13 Cabernets from the 2011 vintage, ranging in price from $47 to $150 a bottle and a few yet-to-be released. We gathered after the tasting in the grand dining room for a lunch of slow roasted rib eye with two salads, whole grain gnocchi and baked estate stone fruit. After lunch we headed across the way for a grand tasting. 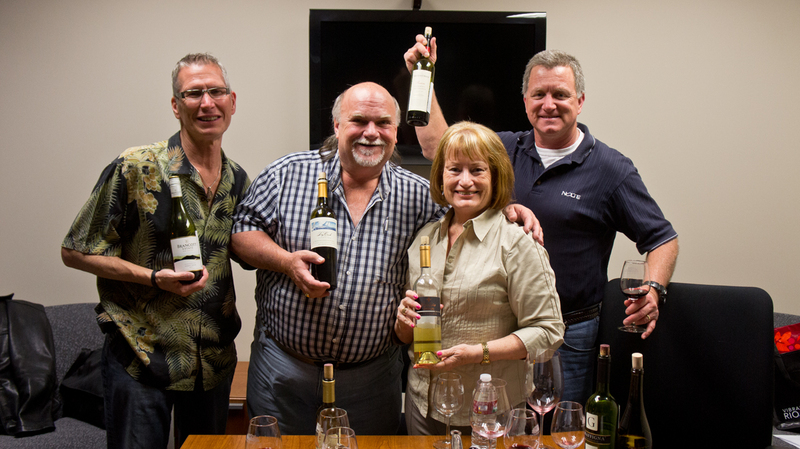 Nearly 40 wineries poured a selection of 2011 Cabernets as well as some 2013 Rutherford whites. 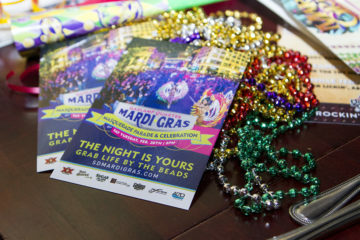 The Rutherford Dust Society strives to keep standards high and to promote this historical region. I made a few other stops while in the Napa Valley. Sandi Belcher, winemaker for Arns Winery, is one of my favorite people in the valley and she produces outstanding Cabernet and Syrah. Arns doesn’t have a tasting room. You call or email Sandi and if she’s free she’ll welcome you onto the crush pad and decant some Cabernet into what looks like a chemical beaker. 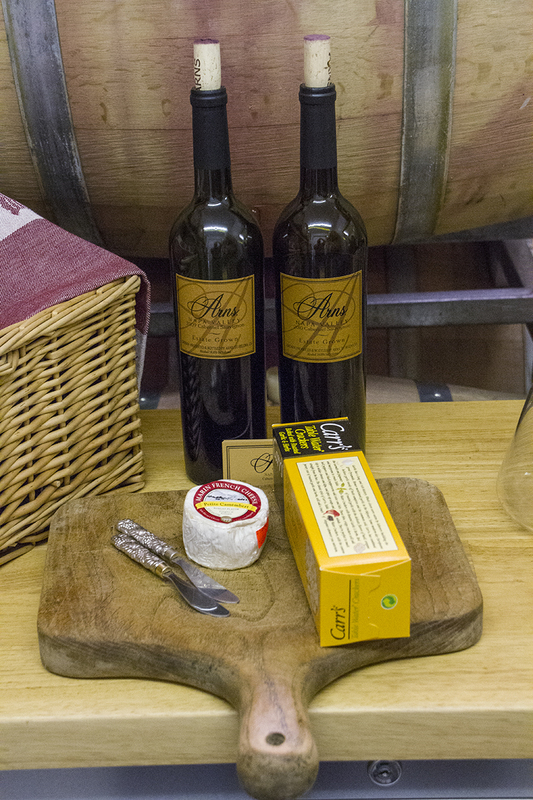 It’s a treat to sit down with her, enjoy her wonderful wines with some bread and cheese and just visit. Sandi doesn’t just grow grapes. She has fruit and vegetables galore and more often than not she’ll send me off with some freshly picked produce. 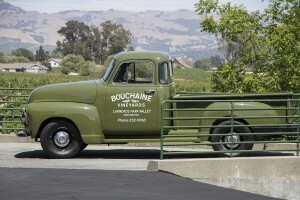 I made my way to the south end of the Napa Valley to Carneros where my first stop was Bouchaine. 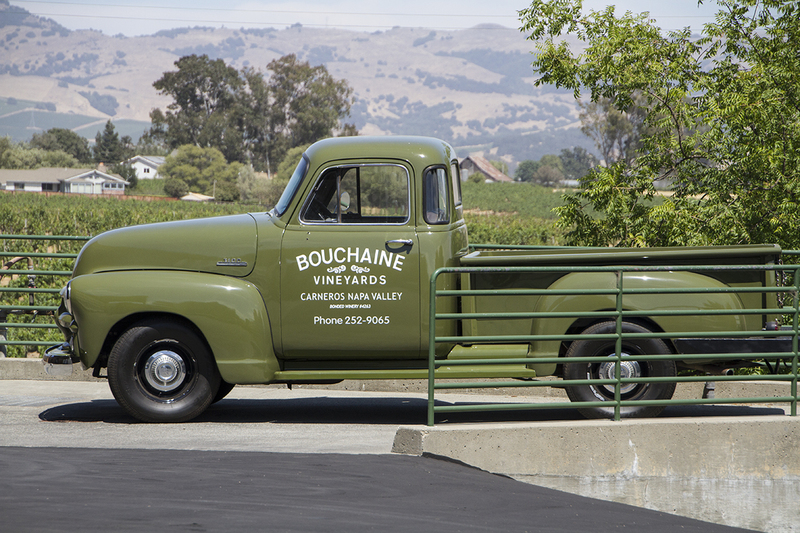 Just miles from the water, Bouchaine sits on idyllic piece of land, one of the Napa valley’s oldest wine-producing properties. This is Pinot Noir and Chardonnay country. Hospitality Manager Troy Bradshaw showed me around and then I tasted their lovely wines including Pinot Gris and Syrah as well as their iconic Chardonnay and Pinot Noir. 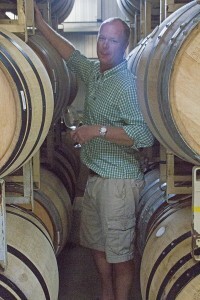 I visited with Associate Winemaker Andrew Brooks, who told me about his involvement in The Cube Project. Three wineries, Bouchaine, Lincourt from the Santa Rita Hills and Ann Amie from the Willamette Valley send each other Pinot Noir grapes and each produces wine from all three appelations. Is it the terroir, the winemaker or a bit of both? I’ll let you know shortly as I brought home Bouchaine’s three offerings from the 2011 vintage. Just down the road is Saintsbury. 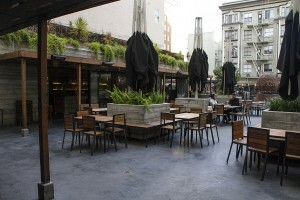 A weathered wooden building houses the tasting room which looks out on a patio with tables and chairs and umbrellas. I threw a tennis ball for two of the resident dogs while savoring superb Chardonnay and Pinot Noir. Bliss. 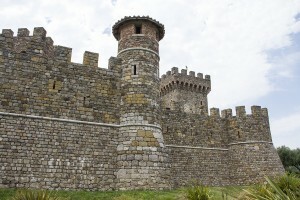 I have been wanting to visit Castello di Amorosa for years and this time it happened. 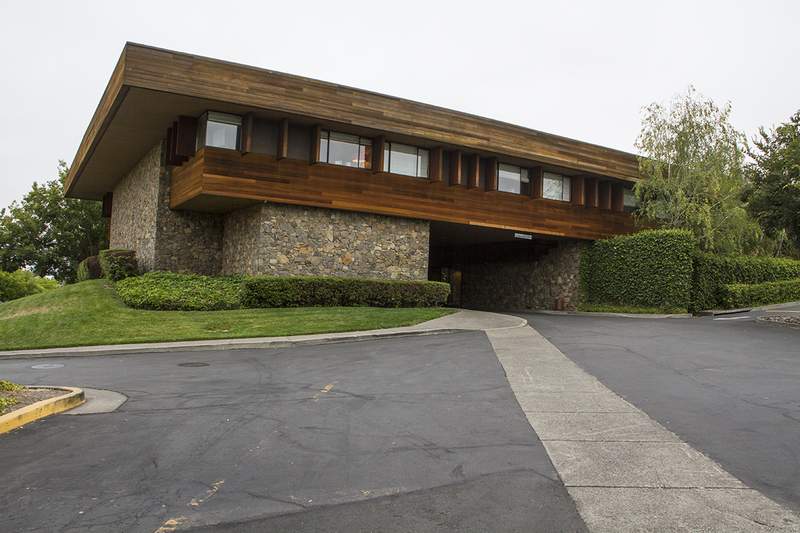 Jim Sullivan was on hand to greet me and he took me on a full tour of this grandiose estate. The story of the castle is the stuff of legend. 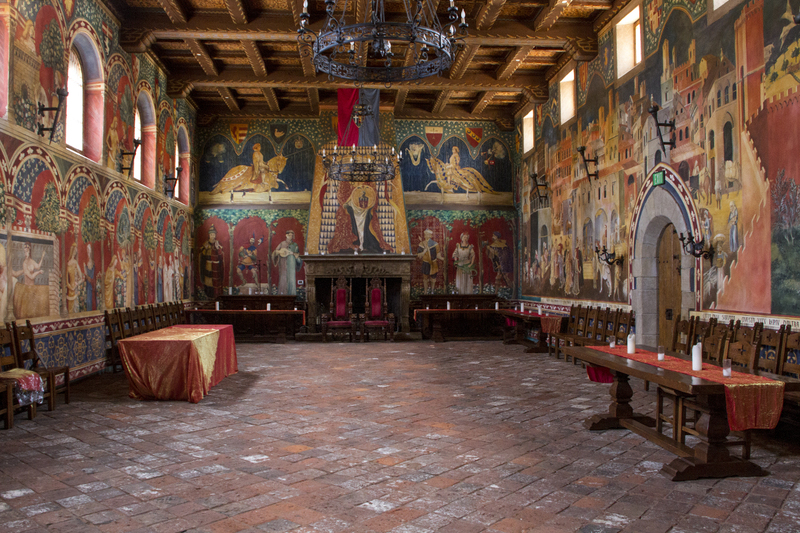 Owner Dario Sattui spared no time or expense in creating his 120,000 square foot showcase on his 170 acre estate. Words just can’t do it justice. Having visited Italy twice in the past two years I can tell you it truly feels like you’re on another continent when you visit. There’s even a torture chamber. My visit ended with a tasting. The only place you can purchase these wines is at the castle. The wines are elegant and I especially enjoyed the Super Tuscan blend, La Castellana. One of my last stops in the Napa Valley was at Venge Vineyards. Owner/winemaker Kirk Venge and I have become friends over the past few years and I always look forward to our visits. 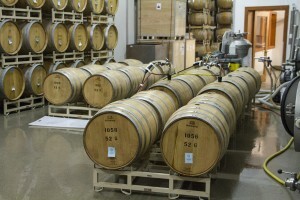 We began in the winery and tasted from several tanks and barrels. Kirk’s passion for his craft is clear. You can see his face light up as he describes each vineyard and vintage. We moved into the tasting room to sample his current releases. His Family Reserve Cabernet Sauvignon is always exceptional and the 2011 is no exception. I also recommend his Sangiovese, Syrah and Pinot Noir. From Napa I made my way over the mountain and into Sonoma County. My home away from home was the beautiful Fountaingrove Inn. Having lived in Santa Rosa for more than ten years, I was very familiar with the Fountaingrove, but this was my first stay there. 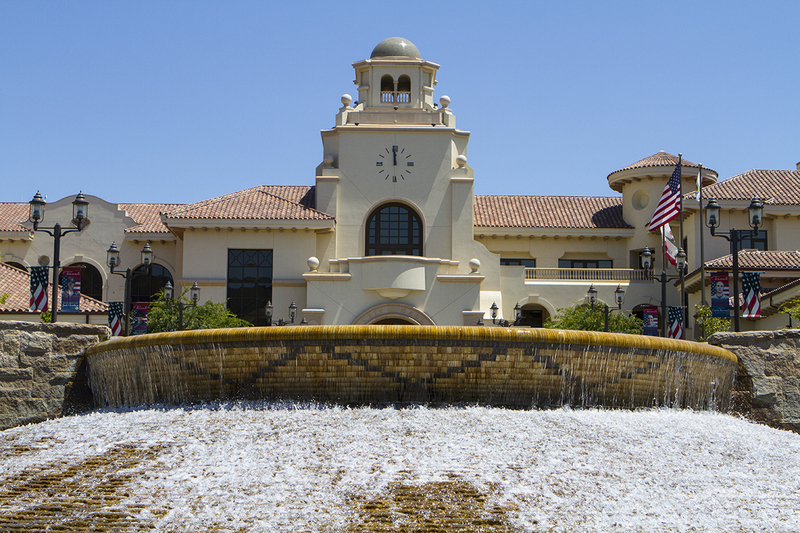 Located at the north end of town, it’s close to the 101 freeway and minutes from wine country. My room was spacious, well-appointed and modern and breakfast both mornings at the inn’s Equus restaurant was fresh and tasty. General Manager Justin Hayman is doing a great job maintaining the standards of quality and he adds a nice personal touch. 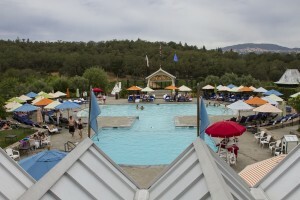 Francis Ford Coppola Winery is just a short drive from Santa Rosa. I arrived in time for lunch at their restaurant, Rustic. 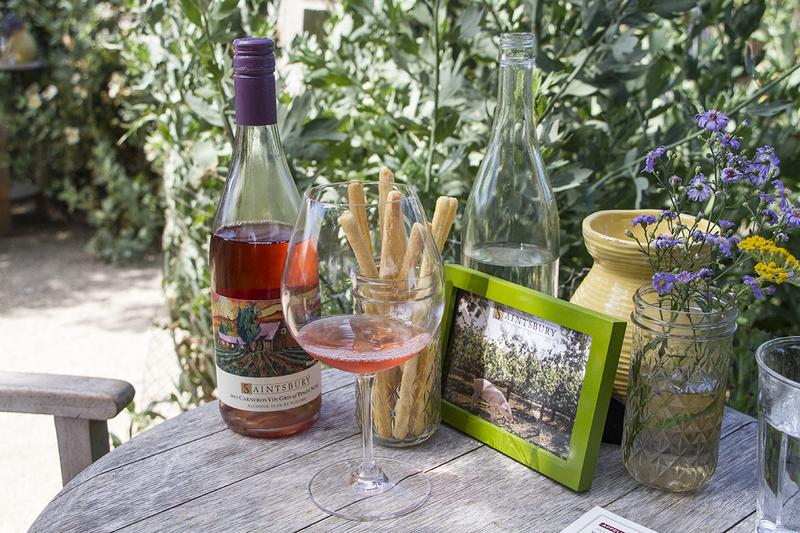 Overlooking the vineyards, Rustic’s menu features some of Francis’ food favorites from his worldly travels. I savored the Cho Cho salad, baby spinach with bacon in an Asian dressing. For an entrée I selected the rack of lamb with rice pilaf. It was relaxing watching people enjoying their food and wine along with conversation. Jill met me at the winery entrance and took me on a tour of this sprawling operation. 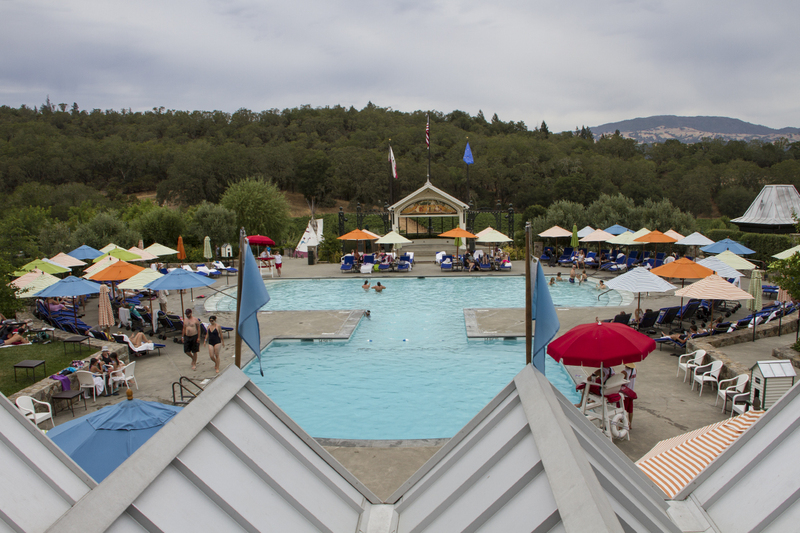 We passed the pool and made our way into the winery itself. The bottling line was in full swing. Jill poured me several of Coppola’s smooth wines at the upstairs tasting bar. I strolled around, past the desk from the Godfather, one of the cars from Tucker and a display case full of Oscars and other awards Coppola has garnered from his other passion. Fog was rolling across the Golden Gate Bridge as I made my way into downtown San Francisco. Executive Chef Chris Hermsdorf has elevated what feels like an upscale bar to another level at 620 Jones. One plate after another arrived; Dungeness crab cakes, an orange and red Caprese salad, roasted beets with baby arugula and candied walnuts and PEI mussels with garlic and pepper flakes. Those were just the appetizers. As an entrée I thoroughly enjoyed roasted local salmon with lentils, bacon and red cabbage. 620 Jones is funky/casual with two bars inside and another on the spacious patio. 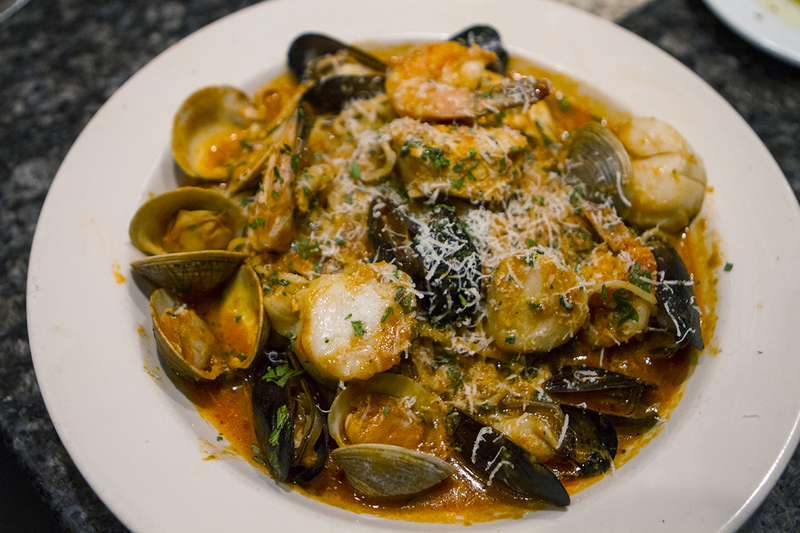 Prices are extremely reasonable with appetizers starting at $8 and entrées ranging from $12 to around $25. The new menu has a distinctly German feel to it. Brad Alper emailed me as I was about to head home. 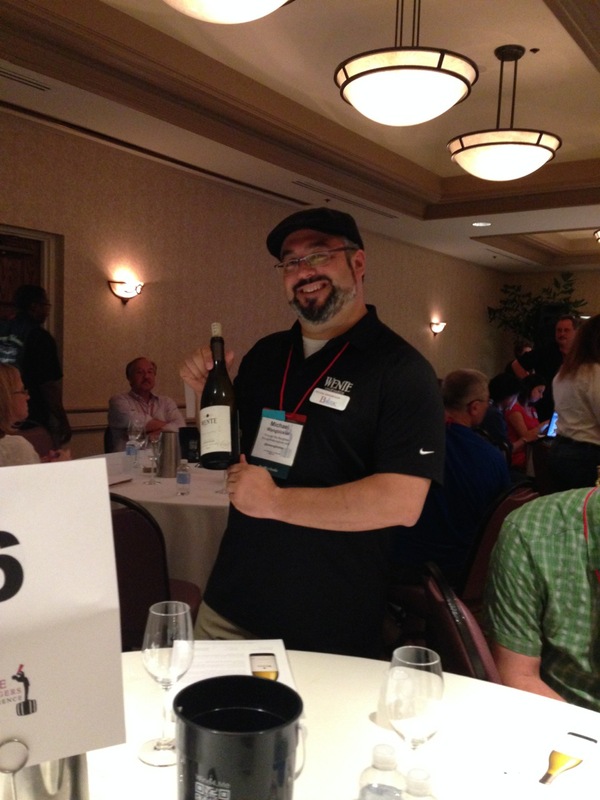 I had met the owner/winemaker of Ottomino Winery at the Wine Bloggers Conference. He asked me if I’d like to stop by to see his vineyards in Sebastopol. A former commercial airline pilot, Alper decided he’d rather make wine and has never looked back. On a slightly overcast morning, we walked his lush vineyards and then tasted his superb Zinfandel. A few days earlier at lunch I had met Brad deLeuze, President of ZD Wines. I drove south on the Silverado Trail to make my last stop. Jorge Guzman poured some delicious Chardonnay in my glass and me back to see their operation. 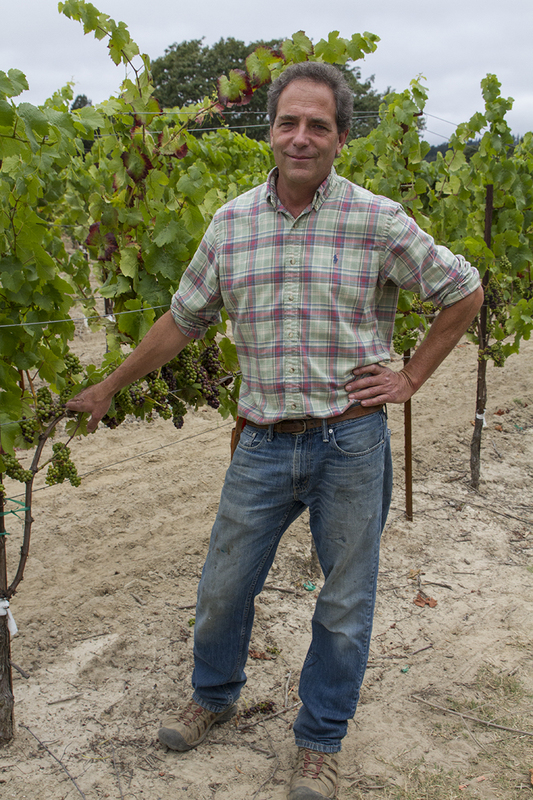 ZD produces a lot of wine under the direction of Winemaker Chris Pisani. Their equipment is state of the art and I was in awe watching their lightning-fast bottling line. Back in the tasting room, I wrapped up my quick visit with a taste of their Cabernet Sauvignon and Pinot Noir and a promise to return in the near future. Disclosure: The Fountaingrove Inn comped my accommodations and I was not charged for dinner at 620 Jones.